Jocelyn is a highly experienced and very popular trainer. 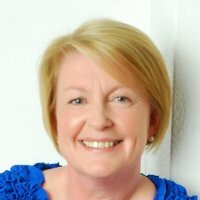 After fifteen years as a training manager within blue-chip organisations, such as Motorola and Thorn EMI, she established her own learning and development consultancy in 1998. A passionate advocate of training for a reason, Jocelyn has a practical approach to training which focuses on giving participants and organisations relevant knowledge and skills improvement which is immediately transferable to the workplace. A continuous professional development programme for Beechwood House Publishing to capture on-the-job training given to customer-focused staff. Work with the management teams of Aquascutum to explore delivery of customer service standards. Lead trainer in the Bluewater team delivering train the trainer customer service programmes to the flagship stores. BOC Edwards programme to develop the telesales and order fulfilment teams. Jocelyn is based in Southampton and also in Hendon (north London). She delivers customer service training in the south-west (Cornwall, Devon, Somerset, Dorset, Wiltshire, Bristol, Avon) and also in London and the south-east (London, Essex, Kent, Sussex, Hampshire, Isle of Wight, Surrey, Berkshire, Middlesex, Buckinghamshire, Hertfordshire, Bedfordshire, Oxfordshire).